It took a while convincing the folks over at UKDN, but I finally drove the nail hard home. A fragment of an object had defied identification for a couple of days, and was in the process of being roundly dismissed as modern, but when I clapped eyes on it, knew exactly what it was without a second doubt. And it was... a brooch fragment. However, this was no ordinary Roman period brooch we were looking at there, but one of such quality as to rival the eponymous type example itself — The Aesica Brooch. The decoration was absolutely typical of its period, and I initially thought of the Carmarthen brooch as a place to start a proper ID from. I tend to see decoration first and form second when faced with fragmented, unknown things, because decoration is not subject to such confusion as form is when it's in bits. 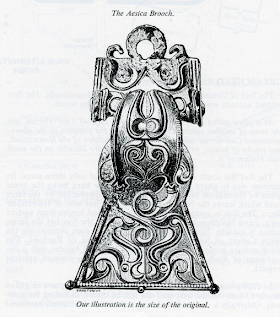 This decoration was clearly early Roman period, and better, it was derived from the British Celtic Tradition. 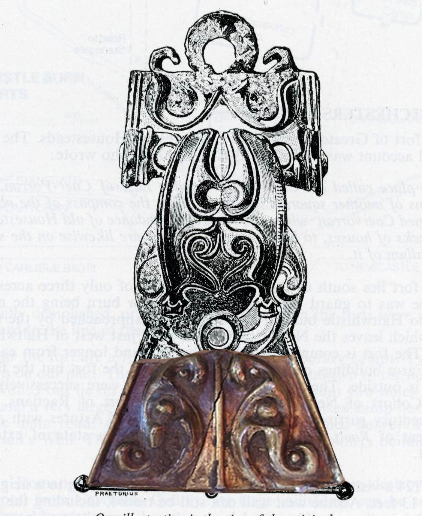 I then had a look at the form of the thing, and offered it up to a picture of the Aesica Brooch in one of my books. It matched perfectly. There could be no doubt, if the thing was genuine, that this was the foot (or is it the head...?) of a brooch of the very same style and of the very same high quality. In the end, two days later, and without progress made in the meantime, I got mad. 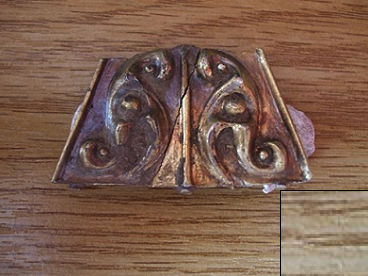 So, I posted a photoshop overlay of the fragment on top of the Easica Brooch itself, and stormed off in a huff. And thanks would have been more than enough. Fricking forums, eh? This is the very reason why I stopped doing ID's on UKDN all those years ago, and perhaps part of the reason why CJ dropped out, and why Rod Blunt skipped over to UKDFD and never went back. It's hard work is working for free. And a thankless task, to boot. 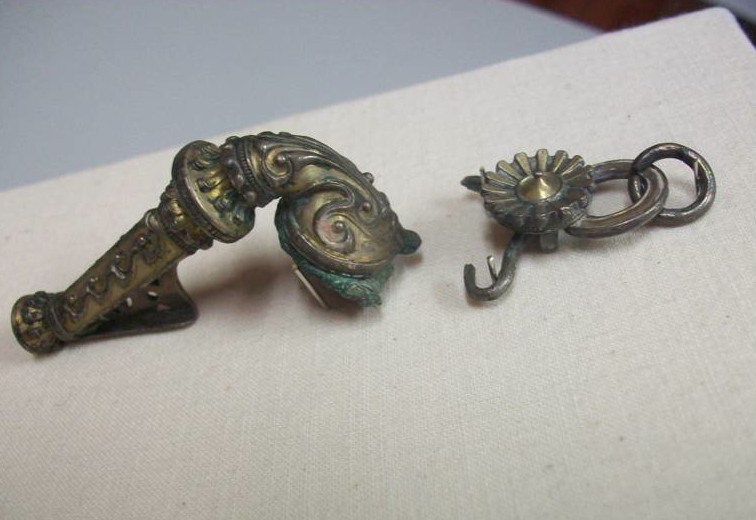 Blimey, every self-respecting detectorist should be aware that the Aesica Brooch is one of the most important objects of the entire early Roman period ever found in this country. 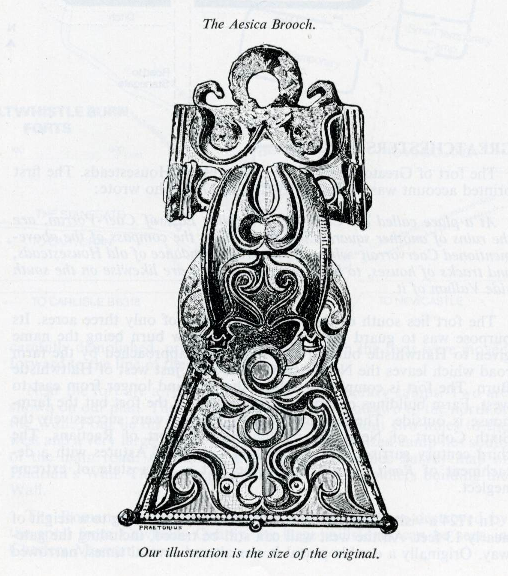 This new example of one not only similar, but of better metal — because the Aesica Brooch is 'merely' gilt-bronze, where this one is silver-gilt — is, to my knowledge, only the second ever found of the same high standard, and is therefore an important thing itself, and in every conceivable respect. That should have been obvious, but detectorists do not learn the trade 'sky down,' from studying the great and classic treasures, but learn it 'ground up,' from the mundane, commonplace and everyday. Therefore quotidian things are easily recognised, but seriously important things rarely are. 'Fricking Forums' indeed ... you are igniting painful memories. But there were some highlights - for example, I enjoyed doing the Mystery Object on that forum. So pleased that you have joined the blogosphere ... I have already subscribed! BLOG ON, RUFUS ... or should we stick to Jeff? The mystery object quizzes were fantastic fun. I tried to run one once after you'd left, but it wasn't any good - no flair for it. And yes, that is something of a sweeping statement! Still, you can't beat about the bush like an academic as a journalist, can you? Oh, and like a dog with two masters, I answer to both. Though Jeff here, I think. A New Roman Road — Discovered!